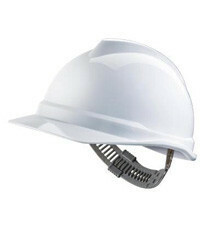 The new V-Gard 500 is a high quality helmet suited for various applications. It features a high performance ABS shell (vented or not) with a rain gutter, and is particularly suited for hearing protection attachment. Tested from -30°C to 50°C. 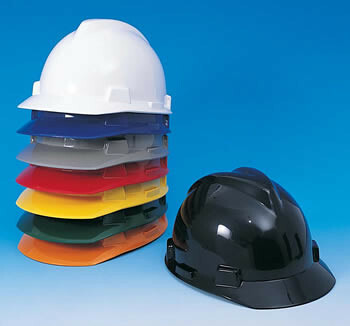 EN397 - Industrial safety helmets. Now Comes Complete with MSA Staz-on insert. Fitted with 30mm accessory slots for hearing / Face protection. 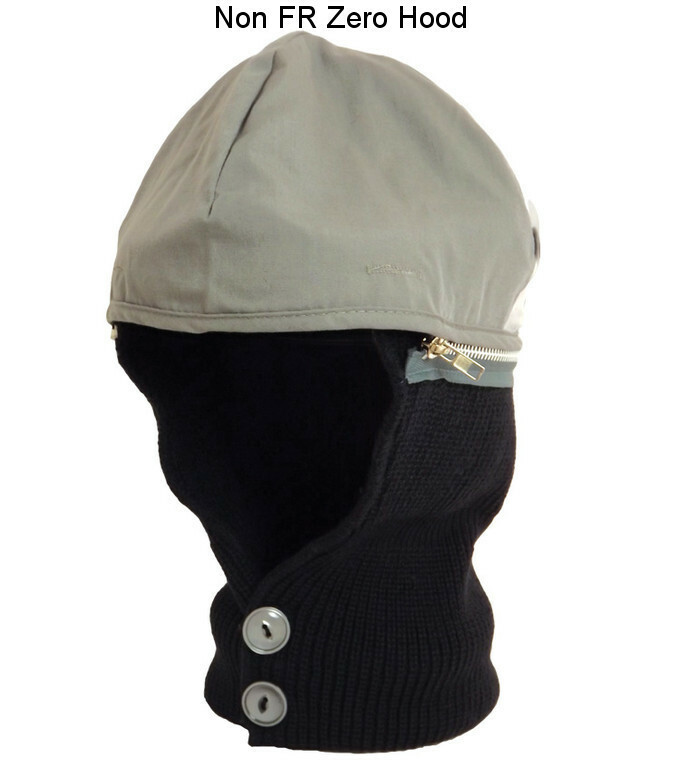 Helmet mounted ear protection compatible with this V-Guard safety helmet. 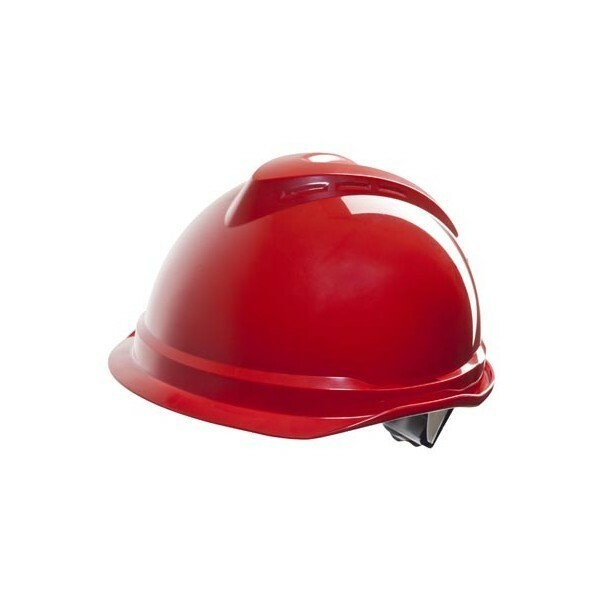 The V-Gard 500 is a high performance industrial safety helmet. Ear-muff friendly design for optimal compatibility with hearing protection. 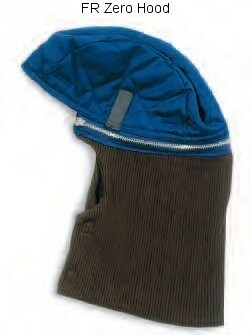 Traditionally styled cap offering great comfort and ventilation, designed specifically to increase stability. • Micro-perforated shell allowing for maximum air circulation. • Shaped for stability with adjustable strap. • Wicking fabric headband draws heat and moisture away from skin. 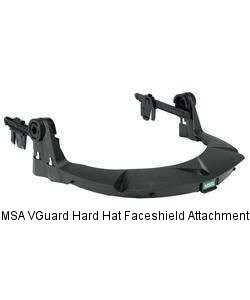 These V-Gard Visors meet general protector and impact requirements for ANSI/ISEA Z87.1-2010. To help ensure safety, don’t combine accessories from different manufacturers. Only V-Gard Accessory products are tested and approved as a fully-integrated system to work with MSA protective helmets.